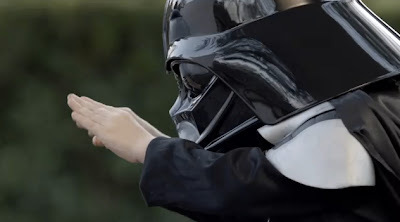 Seems like the big winner of last weeks Super Bowl was this spot from Volkswagen featuring a pint sized version of Darth Vader. Admittedly, it is very well done, and ranks as my personal favorite from the big game. The thing about it was that it really found a way to build an emotional connection with the consumer. Volkswagen was pretty clever when they first showed this video to the public because rather than showing it to everyone during the Super Bowl for the first time, they uploaded it to YouTube a week before and let it it spread like wildfire so by the time the game came on, not only did people immediately recognize it, they made everyone wait by there TVs to show them this cool commercial they had already seen. Pretty clever Volkswagen, pretty clever.